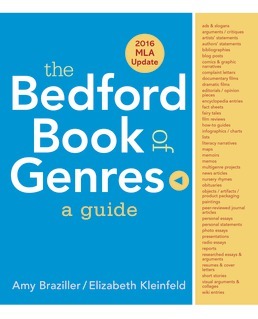 Through writing, photography, sketching, audio recording, and other creative forms, Bedford Book of Genres: A Guide with 2016 MLA Update invites you to unpack how content works in order to experiment with your own compositions. Powerful examples tell stories, report information, and persuade an audience as you're guided through every step of the composing process, from finding a topic and sources to choosing a genre and presenting your work. Purposes: Why Are You Composing? Audiences: Who Are You Composing For? Audience: How Do We Get Others to Connect with Our Stories? Rhetorical Appeals: How Do We Use Ethos, Pathos, and Logos to Tell Stories? Mode & Media: What Are the Best Choices? How Will They Affect your Story? Elements of the Genre: What Do All Stories Have In Common? Style: How Does It Contribute to Your Story? Design: What Is the Best Physical Format For Your Story? Source: What Information Do We Draw on to Tell Stories? Audiences: How Do We Inform Others? Rhetorical Appeals: How Do We Use Ethos, Pathos, and Logos to Inform? Mode & Media: How Can They Help You Inform? Elements of the Genre: What Does All Informative Writing Have in Common? Style: How Does It Help You Inform? Design: What Is the Best Physical Format for Informing? Source: What Research Do We Draw on to Inform Our Readers? (infographic) The Physicians Committee for Responsible Medicine, Why Does a Salad Cost More than a Big Mac? Purposes: Why Write to Persuade? Audiences: How Do We Persuade Others? Rhetorical Appeals: How Do We Use Ethos, Logos, and Pathos to Persuade? Mode & Media: How Can They Help You Persuade? Style: How Do Elements of a Genre and Features of Your Writing Contribute to Your Persuasive Texts? Design: What is the Best Physical Format for Persuading? Source: What Research Do We Draw on to Persuade Others? (researched argument) Chase Dickinson (student), Are Kids On a One-Way Path to Violence? (collage) Richard Hamilton, Just What Makes Today’s Homes So Different, So Appealing? 1. Brainstorm topic ideas: Read, talk, sketch, enjoy. 2. Explore topic ideas through preliminary research. Who’s saying what? 3. Commit to a single viable topic. What are you most curious about? 4. Form a working research question—and refine as you go. Where do I find sources? What can sources do for me? What’s a general source? What’s a specialized academic source? What are primary & secondary sources? What are tertiary sources? How do I preview a source critically? 1. What is Lightspeed Magazine? 2. Who Are the Editors & Staff Members at Lightspeed Magazine? 3. Who Is Jehanzeb, the Author of the Article? 4. What Type of Article Is This? Will It Work for My Project? 5. Should I add this source to my working bibliography? How do I evaluate a source? How is this different from previewing? Neil Carr (student), Video Games and Violence: Who Should We Blame When Kids are Violent? (poster campaign) Homeless Coalition of Hillsborough County, Not Who You Expected? 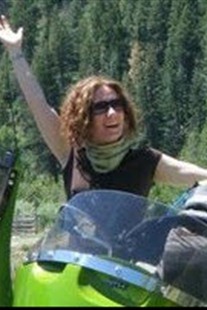 Amy Braziller is an English faculty member and former department chair at Red Rocks Community College. She received her B.A. from Empire State College and her M.A. from New York University. Amy has presented on teaching writing and new media at numerous national and regional conferences. 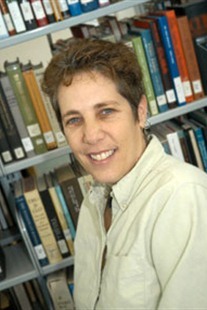 Her research focuses on the intersections between classroom and personal writing. Amy, who is at work on a series of personal essays related to her punk rock days in NYC, blogs about food, film, music, GLBT issues, and social media distractions at amybraziller.com. She is co-author (with Elizabeth Kleinfeld) of The Bedford Book of Genres. Elizabeth Kleinfeld is the Writing Center Director and an Associate Professor of English at Metropolitan State College of Denver. She received her B.S. from Bradley University, and her M.S. in English and Ph.D. in Composition and Rhetoric from Illinois State University. Liz is a contributing researcher on The Citation Project and has published essays on new media, writing centers, and student source use in various journals and collections, including Computers & Composition Online. She is co-PI on a grant to develop a program on academic literacy for at-risk students, particularly migrants. Her current research focuses on how writing centers can intervene in students’ research processes. Liz is co-author (with Amy Braziller) of The Bedford Book of Genres.